languagehat.com : Subdisciplines of Linguistics. I have consulted two dictionaries of abbreviations / acronyms, and, even after rejecting, e.g. Faith Through Worship and Free the Wales, I am none the wiser as to LH’s use of the ‘term’ (or possibly simply ‘quale’) FTW. Should I be reading it backwards ? Yeah, like Mark said, where is dialectology? Don’t make me sick my robots on you! 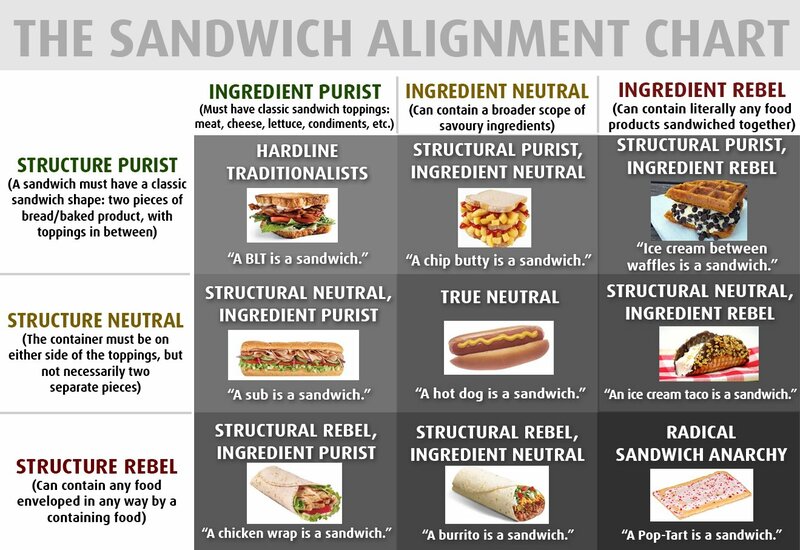 Ugh, I’ve been laughing at these since about the glorious sandwiches one and only now do I know it’s a D&D reference. Also, FTW is completely cromulent. Don’t apologize. FWIW, I didn’t know what FTW meant, either. You can usually guess what acronyms mean but I don’t say “for the win” so I would not have guessed it in a million years. I do find the proliferation of acronyms annoying because it’s so in-group in its way, despite the ubiquity of the Internet. FB, WP, BF, you could go on forever. Heh, usually the best dictionary for things like FTW is urbandictionary. Perhaps unlike Bathrobe I have gained in recent years a passive understanding of the “for the win” idiom because of exposure to the usage of others, but I have not assimilated it into my own usage, nor have I done so with the complex of related idioms (“full of win” etc.) that are all stereotypically (and perhaps unfairly) associated in my mind with a social type that makes us Carter-Administration-era D&D-playing adolescent boys seem in hindsight positively suave and socially adept by comparison. Huh. I’ll have to send up the Songdog Signal. It’s hard to guess the expansion of an initialism if it is a US-specific phrase. YMMV is another example. Is “for the win” from a sports broadcast or a quiz show? I know I could Google, but I’d rather make myself a teachable moment. Apparently it originates in Internet game-playing, though I have not found a source to say so explicitly. Wiktionary equates it roughly with long live semantically, though syntactically the noun comes first — essentially some form of be has been elided. Ha, I knew it had to predate internet games! Thanks, that’s why it seemed familiar to me. I remember loving Hollywood Squares (I had the board game for a while), which may explain why “FTW” was pretty clear to me early on. (I probably looked it up the first time I saw it, but it stuck without any problem). But I spent my career as a teacher (middle school through grad school), so I’ve been accustomed to keeping up with the changes in language. It’s not just “kids today,” either; the engineers and scientists and inventors of all stripes have added a whole bunch of words–and acronyms–in my lifetime. It’s been a fun ride so far! I basically know what FTW means (a congratulation along the lines of “long live”, but normally used after the noun it applies to), and I’m aware that it’s supposed to stand for “for the win”, but those two pieces of knowledge are mostly unrelated. That is to say, f I had to explain to someone else what “FTW” meant (assuming I managed to find someone so unfamiliar with common online abbreviations in the first place), I very possibly would not have used the phrase “for the win” at all, except maybe at the end to say what it’s technically supposed to stand for. Around the first or second time I ran into it, I think I parsed “FTW” as “Fat The Wuck” before my actual thinking circuits kicked in. I think of things like “this question/shot [is] for the win” as something separate from “Person/thing for the win!”. The latter seems to have more in common with “So and so for president”. I think the contexts where I’ve met <thing> FTW were more consistent with ‘<thing> will let me/us win’ in either a gaming or discussion context. (The latter is a bad example).